The Beriev A-50 Shmel (Russian: Шмель 'bumble bee'), (NATO reporting name: Mainstay) is a Russian airborne warning and control system (AWACS) aircraft based on the Ilyushin Il-76 transport. Developed to replace the Tupolev Tu-126 'Moss', the A-50 first flew in 1978. It entered service in 1984, with about 40 produced by 1992. The mission personnel of the 15-man crew derive data from the large Liana surveillance radar with its antenna in an over-fuselage rotordome, which has a diameter of 29 ft 9 in (9.00 m). The A-50 can control up to 10 fighter aircraft for either air-to-air intercept or air-to-ground attack missions. 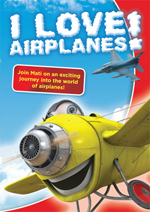 The A-50 is capable of flying for 4 hours at a 1000 km from its base at a maximum takeoff weight of 190 tons. 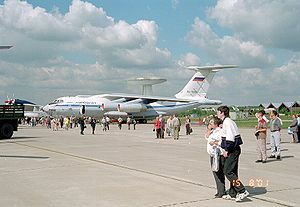 The aircraft can be refuelled by Il-78 tankers, although some sources indicates flight tests showed that aerial refueling was all but impossible because the rotodome would hit turbulence from the tanker, causing severe buffeting. The radar "Vega-M" is designed by MNIIP, Moscow, and produced by NPO Vega. The "Vega-M" is capable of tracking up to 50 targets simultaneously within 230 kilometers. Large targets, like surface ships, can be tracked at a distance of 400 km. A-50M - Modernized Russian Version fitted with mid-air refueling capability. Izdeliye-676 - One-off stop-gap telemetry and tracking aircraft. Izdeliye-776 - One-off stop-gap telemetry and tracking aircraft. Izdeliye-976 (SKIP) - (СКИП - Самолетный Контрольно-Измерительный Пункт, Airborne Check-Measure-and-Control Center) - Il-76 based Range Control and Missile tracking platform. Initially built to support Raduga Kh-55 cruise missile tests.Has fixed radar cover filled with other equipment and glassed navigator cockpit, (One prototype and five production conversions). Izdeliye-1076 - One-off special mission aircraft with unknown duties. 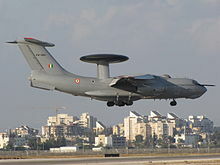 Indian Air Force - 3 operational, RFP for 3 more sent to IAI for the IAI Phalcon AEW&C radar system to be mounted on the A-50.